I've been listening to their album forwards and backwards for days now, why did I not snap it up sooner!? Anyway, here's one of my favourites from the album. I love the sound of the squeaking door in the audio-periphery throughout the whole song. The bass is funky and sharp. I highly recommend this album to anyone who loves their indie electro pop. 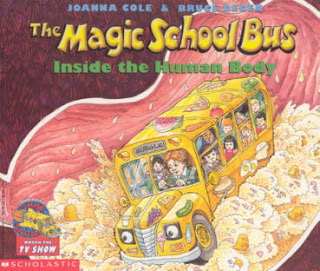 For some reason, when ever I listen to it I think of this computer game I had when I was a kid where you had to explore the human body with a transforming school bus. I loved that game so hard.